Since 1979 Mr. Varchetto has focused his civil litigation practice on professional liability matters, insurance coverage issues and policy litigation, and general insurance defense litigation. He has successfully defended physicians, healthcare professionals, nursing homes, hospitals, medical practices and other institutional healthcare providers in a wide variety of medical negligence cases. He has also represented attorneys, real estate brokers, insurance brokers, architects and engineers in professional liability matters. Since completing advanced training as a mediator, Mr. Varchetto has been providing mediation services in medical malpractice, tort and commercial litigation matters. 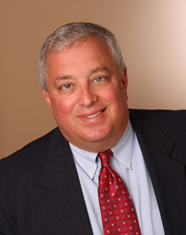 In his general insurance defense practice, Mr. Varchetto has represented insured and self-insured defendants in cases involving extensive property damage, catastrophic injuries and other personal injuries in matters arising out of vehicular accidents, premises liability, false imprisonment, slander, municipal and school district liability, product liability and business torts. Mr. Varchetto has represented insured and self-insured employers in Workers' Compensation claims through all levels at the Industrial Commission, appeals to the Circuit Court, and in the Appellate Courts. He regularly lectures to Risk Managers on topics related to Workers' Compensation Claims, and works closely with medical poviders practicing Industrial Medicine to enhance the relationship between the medical community providing services in Workers' Compensation matters and the employers of those injured workers. Mr. Varchetto is regularly called upon to provide coverage opinions to insurance carriers on issues pertaining to Workers' Compensations and Employer's Liability coverages. Mr. Varchetto is called upon by several of the country’s largest insurance companies to render coverage opinions as to both personal lines insurance policies and commercial insurance policies. He has experience in rendering opinions on complex issues of inter-related coverages on construction projects and offshore manuscript policies such as those issued by members of the Institute of London Underwriters. He has also litigated a significant number of diverse coverage issues. Because of his experience in insurance-related litigation matters, Mr. Varchetto regularly lectures to and participates in training and education seminars for the firm’s insurance and self-insured clients. Mr. Varchetto is a guest faculty member of the University of Notre Dame Law School, participating in the trial advocacy program.